Fourteen years ago this month, the office was destroyed by fire. The agency was located in Indian Harbour Beach in Brevard County. If you want to know who your true friends are, have a disaster like this and you will find out. My friend, Zoe Boyer, former agent at Susanne Haley Agency, organized a team for Brevard Talent Group to get up to speed as soon as possible, including Mary DeVitto, former agents Terry Hill and Eve Koch pitched in along with myself and Zoe to send out paperwork. The support I received was humbling to say the least. Actors sent gift cards to office supply stores, Mary Rachel Dudley sent a big box of supplies and Whitney Goin bought a new phone system that I still use at my home office. Patrick Mickler gave me a framed comic book of “Wonder Woman” that is still hanging in my office. Note to self: check value on eBay. The extra’s files were destroyed and I felt it was a sign to quit booking extras on film/TV – best decision ever! Your life can change course at any minute. I am grateful that nobody was hurt in the fire and for the outpouring of love. On a positive note, this was a great way for actors to update their resumes! Actors of the week go to…drumroll please…Owen Harn, Jordan Woods-Robinson and Ricky Wayne. They are all talented actors, a privilege to represent and are members of the “BTG Consistent Closers Club”. They are smart enough to know that actors go through a roller coaster ride of being busy or slowing down but, they always do what needs to be done in order to strike while the iron is hot. Ricky worked on “Bloodline” on Tuesday, caught a flight that night to Pittsburg to work the next day, caught a flight back to South Florida Wednesday night to work yesterday and will work finish Monday on “Bloodline”. Instead of turning down a job, Jordan Woods-Robinson changed his travel plans to work on a pilot in North Carolina. And, last but definitely, not least, Owen Harn was on vacation. He planned ahead and brought his taping equipment with him. Which turned out to be a good decision, since he had numerous auditions to tape. All of the actors went with the flow and made changes to take advantage of the opportunities they had, WITHOUT COMPLAINING. Having drive, determination and dedication will move you to the top of the ladder with your agent. 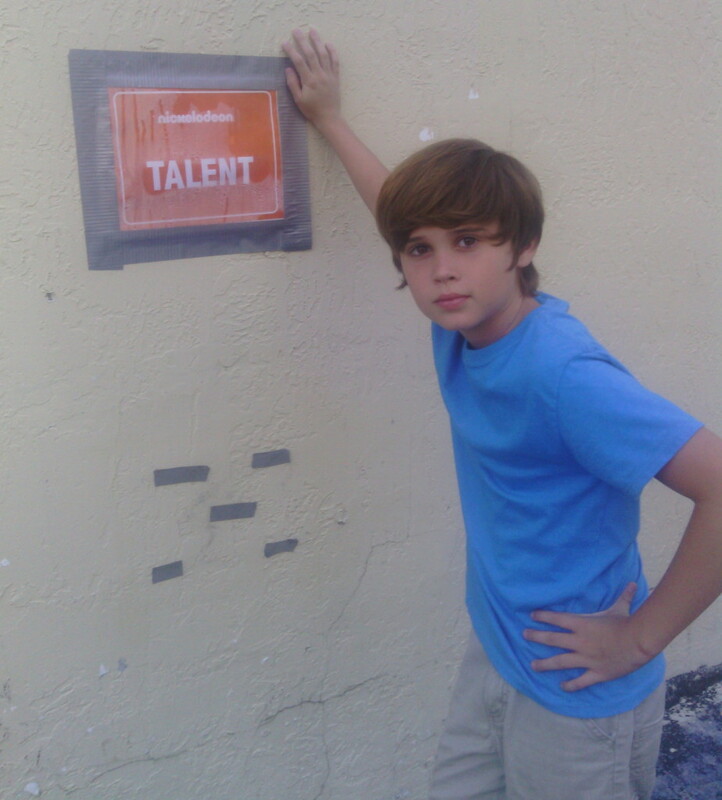 Logan recently wrapped working on fourteen episodes, as a series regular, on the Nickelodeon show “Talia in the Kitchen”. Logan said, “I’m so thankful for the opportunity to work on ‘Talia in the Kitchen’. I have met some wonderful people and learned so much. This experience has helped me to realize how important it is for actors to always be prepared, yet ready to change in an instant. It is so fast paced, and that is why it is important to always pay attention. Every bit of the day is scheduled, so when careless mistakes are made, it can cause production to get behind. I really like to sit back and watch each crew member do their job and see how it all comes together. I guess the most important thing that I have learned on set, is that I do want to be an actor for a living”. I am so proud of Logan and all of the hard working young performers I represent. It is not easy handling the demands of the business and school at the same time. Without Melinda and Todd, Logan’s supportive parents, none of this would be possible. Pilot and commercial season are right around the corner. It is time to talk about the importance of excellent headshots. Having a current headshot is a top priority for an actor. It is your calling card and the first step in the casting process. New headshots will be instrumental in generating opportunities for actors. Your headshot is one of the most important marketing tools for actors. It needs to stand out for all the right reasons and none of the wrong ones. The purpose of a headshot is to showcase that special quality that makes you unique in a natural and straight-forward way. You will need a new headshot when your look has changed, either due to hair style, out-dated wardrobe or when you look older than your current headshot. There are two basic types of headshots: commercial and theatrical. Commercial headshots should be attractive, warm and open. Always smile for these shots, with teeth showing, if possible. Theatrical headshots can be more “natural,” and should try to represent your characteristics as a person, your bookable essence and roles you are right for. Theatrical headshots are non-smiling. It is a good idea to have both, commercial and theatrical, so you can be submitted for different types of projects. Reflect those types of looks in your headshots. You can shoot as many looks as you want which will give you and your agent plenty of options when submitting you on projects. Make sure the photographer shoots a headshot only. Technology has made ¾ and body shots a thing of the past. Submissions are viewed on a thumb nail size and a headshot gives the casting director the ability to decide if they want to request you for an audition. Plan out your outfits according to the different looks you are going to shoot. Bring a variety of wardrobe to your shoot. It is better to have too many clothes than not enough. Use layering to create depth and incorporate bold colors and neutral tones. Shirts with collars work best. Avoid turtlenecks and shirts with patterns and brand name logos. Stick with solid colored clothing with a clean, simple look. Textured clothing can also work because it adds a unique touch to photos without taking the attention away from your face. Make sure your clothing is clean and ironed before you arrive. Take a lint brush or lint roller with you since lint can show up on dark clothing in photos. There are no rules about what colors you can and can’t wear in your headshots but, you should try to avoid colors that are distracting. A good choice is to remember what color you are wearing when you receive compliments on. Bring three to six changes per look so you can see what the photographer recommends and what will complement the background being used. Choose only articles of clothing in which you feel confident and comfortable, and that fit you perfectly. Bright colors, pastels and earth tones work well for commercial headshots, while darker colors are better for theatrical headshots. Stay away from fur, velvet and bulky winter clothes. Non-seasonal choices work best for actors in the southeast. . Makeup can be lighter for commercial and heavier for theatrical. Jewelry should be kept to a minimum. Simple stud earrings for women and no jewelry for men, unless the look you want to achieve calls for an earring stud or necklace. Hair should be clean, healthy and shiny. If you have colored hair, make sure your roots aren’t showing. The day before your shoot drink plenty of water, stay away from sodium and alcohol, and get plenty of sleep the night before your photo shoot. Arrive fresh and ready to go. Before you take new headshots, ask your agent for referrals and for input and ideas. You should collaborate with your agent on how to have a successful session, one that you both are happy with. I personally do not like headshots with hands showing. Request portrait/vertical photos only and not landscape/horizontal. The eyes are the window to your soul. Make sure your eyes are centered and not with a big amount of the white showing under your pupil. Discuss what looks you want with the photographer before your session begins. You are the producer of your headshot session. The photographer is the director of photography. Do not be afraid to be specific on what you and your agent wants to get out of the session. Don’t be afraid to speak your mind so you have the best session possible and walk away knowing your new headshots should open up more opportunities for you. Choosing the right headshot can be overwhelming. How do you begin to narrow down hundreds of photos to choose from? Start by trusting your instincts and your initial impression. It takes a lot of time to edit your session down to your top choices. You can ask your fellow actors or friends to help you. Most likely your agent will not have the time to edit all of the pictures so, I suggest you narrow them down to no more than a dozen of each look. After you’ve selected your final choices the photographer will photo shop them and send your final images to you so you can have them reproduced and uploaded on your actors access profile, as well as all of your online accounts. Don’t forget to send the final headshots to your agent so they can keep them in your file. On my way to work I stopped to buy gas. I saw a man with one leg walking out of the store who proceeded to get on his bicycle and pedal away. True story – I can’t make this stuff up. If this wasn’t a sign for me to count my blessings I don’t know what is. I got to work and informed select actors that callbacks and bookings went out on projects and then the drama therapy started. The complaints about the cost of taping, why the actor is not booking, blah-bla- blah. Same story, different day. Actors need to get their priorities straight and realize how grateful they are to be in this exciting business and the opportunities available in the southeast. Then I thought I should make the book the “Power of Positive Thinking” by Reverend Dr. Norman Vincent Peale or “The Art of Happiness” by the Dali Lama mandatory reading. There are no limits to what your mind is capable of. Limits and excuses are what you put on yourself. Since you are the boss and CEO of your life, you can achieve anything you want – the sky is the limit. Keep in mind this business is like playing the lottery. You can’t win if you don’t play, but don’t expect to win every time you play. Only one actor books the role! If the joy of being in the business is gone then evaluate your future and what you want to achieve, regardless if it is being an actor or another profession. Is it possible to banish negativity out of your soul and concentrate on finding happiness? You are the only one who can answer that question. But, one thing I know for sure, agents would much rather represent actors who wake up on the right side of the bed and feel fortunate for what they have, not for what they don’t. A throwback story for you: Many years ago my friend and casting director, Terry Berland, worked at BBDO advertising agency in New York City. I was in the city for business and pleasure and asked Terry if I could assist her for a day. I love the creative process of casting and took the opportunity to learn that side of the business. Terry was casting for a furniture store commercial and a voice over for Pizza Hut. I was busy taking Polaroids (remember those days?) and getting the actors ready for their audition. One actor stuck around after his audition, for quite a long time, to talk to other actors and hang out. I thought that he must be a loser and didn’t have anything else to do. The next night I had tickets to see the David Letterman Show when he was at NBC. Imagine my shock and surprise when that very same actor from the audition walked out as the top guest of the night. That actor was Chris Elliott. I almost fell out of my chair. That taught me to never assume who someone is and that actors want to be around the energy of other actors. After all, they are a species within in themselves. Hi, everyone, this is Lisa Midden filling in for Traci who is off celebrating her daughter’s wedding, congratulations Jordan! I come in a few days a year, when Traci is out of the office, to try to keep things moving smoothly, one thing Traci does with ease. Today is a quiet day. I had a chance to get my hot tea early, check emails and gladly call a few people to put them on hold for “Bloodline” and a Florida lottery commercial. That is definitely a great start to any day! I will take that over the days that are impossible to explain in just a few words and for that reason, I always say that every actor should sit in this chair at least once. It is interesting to say the least, what it encompasses to see an audition come to fruition with the success of a booking. Especially one that may have only originally looked like a small part ends up being something far greater, but that is always the hope, isn’t it? I’m sure you have read many of those stories here before. It was nice to witness one of those today. Those are stories that are motivating for crazy days, like having to quickly understand what a casting director needs, to again quickly contacting all the actors for the audition. And , might I add, doing that with a smile on my face so I don’t come across short because I am on a deadline and you cannot even explain that when your goal is to be sure everyone has what the information they need in time!!! Whew, that is so not easy, lol . However, when it is all said and done and it is the end of the day, I must say it never gets old to call with the news, “You booked the job”!! Glad I was a part of that today. Let’s smile a little more today! ? You were an agent at the Houghton Talent Agency before you partnered with Tara Feldstein Bennett to open a casting office. Do you like being a casting director or do you miss being an agent? There are definitely parts of being an agent I miss, like being closer with the actors, acting as their advocate, and having an office full of wonderful people to see every day, but I LOVE being a Casting Director. There’s a lot of crossover in what the job entails, but the biggest difference is I get to be a part of the creative process as a CD while also engaging in the business side, while an agent can often times be all business. 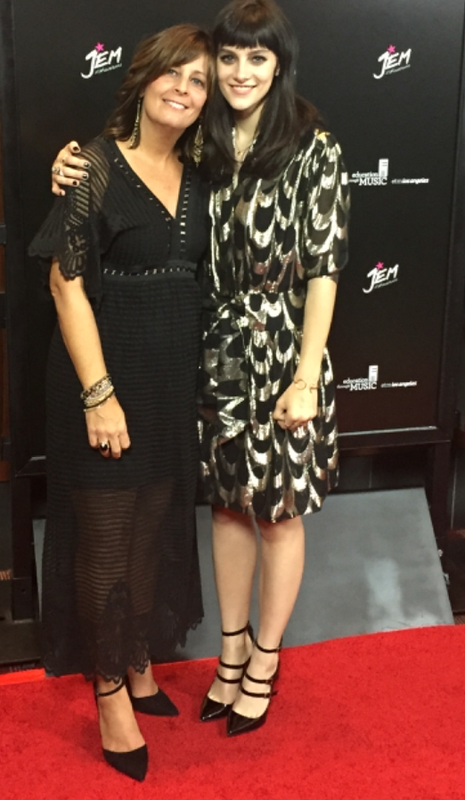 It’s fun, challenging, exciting, and fast paced – all things that Tara and myself live for. Feldstein Paris Casting is a top casting company in Georgia. What growth in the market have you seen since you opened the business? It’s been incredible to see the market grow. Tara and I both started right as the tax incentives really took off in GA and we’ve been able to grow with them. That’s been one of the biggest reasons our company has been able to grow so quickly, so we’re both lucky and thankful. The market has developed to where not only is there a large amount of work coming to GA – more and more each year – but as producers, directors, studios, and networks return they get familiar with the talent and are seeking out familiar faces. Sometimes this simply means getting an extra look when their next project is in town, others are confident to book larger roles with locals. It’s a slow process as most actors have learned, but the market IS evolving and growing, to what level is yet to be seen, but talent today have much bigger and better opportunities than they did 2-6 years ago, and that trend should continue! – Talent emailing us directly – we’d much prefer all contact to go through agents. – From Tara: Recording your own voice as the reader. When it’s played back it’s so distracting and you can’t connect in your audition because you’re waiting or rushing to keep in line with the audio! Since actors seldom have the opportunity to see casting directors in person, can you share some tips on how actors can nurture a healthy relationship with a casting director. I think having a “relationship” is unrealistic in the sense some actors want it. What we need is to be familiar with your work and confident in your abilities enough to present you for roles confidently. We don’t do generals because that doesn’t show us anything you can do as an actor, which is the main thing that matters to us. If a talent wants to be more familiar with us, we’d love to get a pitch from their agent/manager with their materials. That’s the best way to get our attention. Other than that, we’ll base our opinion on actors based on the auditions we see, so keep the quality of those high and you’ll make an impression. How do you prefer actors keep in touch? Email? Social Media? Postcards? Thank you cards? We greatly prefer all communication to come through agents. When we open the doors to other avenues (email, social media, etc.) then it gets cluttered and everything becomes white noise. If you have a new reel or a big booking that’s about to air or hit theatres, have your agent notify us – we want to know those things! Traci you do a good job of getting electronic postcards out, and I think those are perfect. As far as postcards or other promo materials via mail: we look at them all, but don’t keep them, and sometimes they get excessive. Again, electronic here is best. Lastly: thank you cards – these are completely unnecessary! We love what we do, and love to give talent bookings; that’s thanks enough. If a talent INSISTS on sending a card then their agent should have our best address and can send it out for them – but this should be reserved for bookings and not auditions. We sometimes get thank you cards for auditions – can you imagine if EVERYONE did that? It would be just too much, so if you MUST send a thank you card please save it for bookings (though again, even that’s unnecessary!). BONUS – sometimes talent want to send us gifts. While we always appreciate them sending us gifts is not necessary at all. We both understand the life of an actor, and we’d rather they put any time or money in to furthering their acting career and not sending us stuff – it’s a better use of your money!! Note from Tara: I don’t mind tweets from actors, sometimes it’s fun to see them on set or chime in to posts about upcoming airings. How often do you use social media to cast your projects? If we have a particularly specific role where our normal actor pool won’t give us enough options, we’ll post on social media to see what else we can find. It’s not normally super fruitful, but when we need more options, that’s a good place for us to go. We’ve never cast anything BASED on someone’s social media though. They still come in and audition and (more than not) the best actor is whom we hire. Does the IMDb “star-meter” influence or affect which talent gets seen/booked? No, never. Never ever ever. If a CD is using that to see/hire talent then they don’t know what they’re doing (in my humble opinion). What do you like least about what you do? Casting Data Reports. Tara I’m sure would say Taft-Hartleys. Both are paperwork required by the union, which are just tedious tasks that aren’t very fun to do. We don’t really mind paperwork, but these especially are lowest on our totem pole. Do you miss live/in-person auditions? YES! I personally love live auditions and wish there was a way to do more of them without sacrificing something else along the way, but alas that’s not the world we live in at the moment. If we do everything live then we go from seeing 20-30 actors regionally per role to 4 locally per role, which limits our options as well as the opportunities for talent. There have been times where we’ve done a mix of tape and live sessions, but doing both a lot of times stretches us thin and leaves us missing people, or creates a perception of unfair advantage for the locals wherever we’re shooting. Watching tapes isn’t nearly as magical or fulfilling as being in the room, but the opportunities self-tapes give us outweighs that in the current market we live in. On the average, how many actors are submitted per role and how many are requested to audition? This can vary greatly depending on the role description – wide-open roles can have 600+ people submitted, and very specific roles can have as few as 20 – and how wide we release the role. However the majority of roles float somewhere around 150-250 if I had to throw a number out there. Regardless of how many are submitted, we try and keep our tape requests to 30 or less, though obviously that fluctuates based on needs. About how many tapes/actors per role do you send to the director and/or producers for consideration? A lot of actors get discouraged taping numerous times on the same projects. Any advice for them to continue taping auditions? I remember when I was an agent, the ongoing joke amongst the actors was to keep track of how many times they had auditioned for ARMY WIVES before they booked. It was silly, but they kept count. I’d talk to Richard Futch and Matt Sefick about what more they could be doing and what was missing, but they said, “the talent are doing fine, but we can only hire one actor per role,” which is good perspective to have. Sometimes we’ll see 20-30+ actors per role. Of those, we’ll present 5-10 up the chain, and still only 1 of those can be hired for the role – so keep in mind, the odds are stacked against you every time you audition. We understand it can be annoying and tedious to audition over and over again for the same project, but if you hadn’t caught our eye or someone else’s up the chain then you wouldn’t be auditioning. Keep doing what you’re doing and putting in the good work and the odds of the booking coming will increase with each audition. Any advice for actors to make their auditions stand out? 2) GET YOUR TAPES IN EARLY – We normally send our choices up the chain within the hour of a live session or an Eco-Cast expiring, and also review tapes earlier. If you want to stand out get in early whenever you can. 3) BE OFF BOOK – Of course if you have 7 pages we understand, but you should do your best to be off book when you can. There are a lot of acting coaches that say differently, but when you are off book you are comfortable with the material, and that shows in the tapes and in the room. 4) MAKE STRONG BUT APPROPRIATE CHOICES – This doesn’t mean make an off the wall choice for your read – make it appropriate but memorable as best you can. What is the reasoning behind the “no props” rule? They’re very distracting if unnecessary. A phone makes sense if you’re talking on the phone, but really most anything else just distracts us from what’s most important in the audition – YOUR PERFORMANCE. The same can be said for costumes. If a prop/costume is going to help you get in the role great, just make sure that when we watch the tape we’re not immediately going to wonder why you have spare nurse scrubs laying around or have our attention pulled to whatever you’re holding in your hand that’s not essential to the scene. ANYTHING pulling our focus away from your performance is going to hurt you more than help you. In your experience, what separates the audition tapes of “great” actors and “good enough” actors? In general the quality is going to be better, but a “great” actor is “great” whether they’re on tape or in person. It’s true that some people excel on tape vs. the room and vice/versa, but that comfort in the role and in front of the camera just shines through on a higher quantity of “great” actor’s tapes than the others. Basically the tape doesn’t separate the “great” from “good enough’ – if the actor is “great” they’ll separate from the others more than not. At what point in the casting process does an actor’s footage come into play? Do you mean reel footage? If a reel is submitted with an audition (in a separate file, please) we’ll include it in our presentation to producers/director/studio/network. This can only help the talent – a good reel will make a good audition look great and will make a sub-par audition one that get’s considered based on previous work. They can also come in to play as a substitute for an audition – though the reel has to be pretty strong or recognizable to get the right kind of attention. A lot of LA roles are done in large part through reels, so if you want to be considered with those the reel has to be of their quality and caliber, which can be hard. What are your preferences when it comes to reel footage? I’d say under 3 minutes is best unless you have substantial roles that would lead to longer. Always put your BEST and/or MOST RECOGNIZABLE footage up first – time is at a premium sometimes in the decision-making process and CDs, producers, and directors will move on once you’ve lost their attention. Start strong and we’ll keep watching. ALWAYS KEEP IT UPDATED – we’ve been hiring off of reels more now, than in the past and nothing hurts an actor more than a reel that doesn’t have their latest and greatest on it. It’s worth the money/time to keep it up-to-date. Many actors wish they could hear individual feedback on their tapings. What insight can you give actors who crave feedback when the industry allows no time to give it? Talent can always ask for feedback on tapes. It’s astounding how often this does NOT happen. We are more than capable of giving feedback on individuals if their reps ask us about specific auditions – we save them all so can go look back and give specific feedback. All reps have to do is ask and tell us what roles they want feedback on and we’ll do it as workload allows us. If an actor is close on a read but missing something and we have time to give a redirect before presenting we will – but again that’s based on time constraints. That’s the big downside to tapes, the personal touch is lost – but without tapes a fraction of the talent being seen wouldn’t even get auditions, so it’s a give and take for sure. Mr. Depp, you can start writing your Oscar acceptance speech for “Dark Mass”! I do not know how it is humanly possible how he morphed into playing the part of Whitey Bulger. The film was filled with plenty of murder and F words, if that offends you, I would pass; if not every actor has to watch this amazing performance! One of my new favorite fall shows is “The Muppets”. The series is set in Los Angeles and depicts the everyday personal and professional lives of the Muppets during production of “Up Late with Miss Piggy”; a fictional late-night-talk show starring Miss Piggy, Kermit, Fozzie Bear and a slew of other characters. The show airs on the ABC network on Tuesdays at 8:00 PM. If you need a break from the real world, the Muppets are sure to make you laugh! Another show I recommend for all ages is “The Carbonaro Effect”. The show is filled with comedy, improv and drama. Michael Carbonaro is amazing and is a great example of how a talented person can create their own TV show. The show airs Wednesday’s at 10:00 PM on truTV. I think you will be as amazed as I am when you watch the show. Traci: How did you get started in the business? My mom started “MDM Studios” a school for modeling and acting in Brevard County. I worked for her and was encouraged to open an agency to book models for runway shows and fragrance demos in department stores. I am glad those days are over! I will take actors over models any day of the week! At the time, the agency was called “Model and Talent Management of Brevard”. When Universal and MGM Studios were being built in Orlando, I started to transition into developing and booking actors. In order to apply and take a test to be franchised by Screen Actors Guild, I had to separate from my mom’s business and move to another location. It was time for the bird to leave the nest. 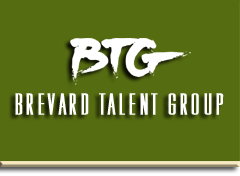 I changed the name to Brevard Talent Group and incorporated in 1989. Traci: What do you like best about your job? The least? The creative process of developing actors. It is exciting and challenging to meet raw organic talent and see them work hard to become a successful actor. And, giving actors the great news that they booked the job. That never gets old! The least is dealing with lazy unmotivated actors. They don’t last long with the agency. Telling actors they did not book the job. Actors who self-tape and do not know how to compress files. Sitting at my desk ALL DAY LONG answering emails. They never end. 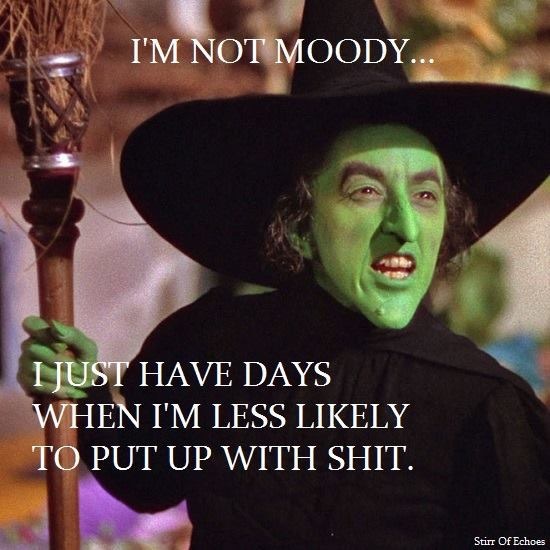 Not complaining…just sayin’! Traci: Any words of advice for actors moving to Los Angeles? Good luck and bring lots of money with you. Traci: What happened to the Florida market? Our business has been decimated under Governor Scott’s administration. Three years and not one penny being allocated to the incentive program is unacceptable. There are very few agents in the market that have been in business as long as myself and Melanie Hurt, back in the good ol’ days when Florida was third in the nation for filming and SAG national commercials outnumbered nonunion. Melanie and I have more experience than most of the current agents put together. That shows we are older and wiser. At least that is what I tell myself! One day I saw a picture of my client, Dean Napolitano, on a bus in Orlando. Former casting director, Herb Mandell, God rest his soul, cast Dean in a commercial for “Wet & Wild”. The client pulled the image without paying Dean. That set me over the edge! I worked to form “CFATA: Central Florida Association of Talent Agents”. The agents got together and made changes putting an end to perpetuity (which means FOREVER) buyouts on commercials and made the market better for the actors and the agents. Then the economy tanked, new agents came into the market and technology changed allowing agents to put actors on tape, therefore creating less jobs for casting directors. I blame the agents for accepting low paying jobs and the actors for accepting the terms and conditions and going to the audition. We are in the theme park capital of the world. It shocks me what they pay on nonunion commercials for worldwide all media usage forever! I believe actors should be respected and paid fairly. After all, most productions need actors, whether for commercials or film and television. Traci: What do you miss about the good old days? When actors made enough money on one commercial to put their child through college. When young performers made enough money on a Sea World or Busch Garden’s commercial to pay for college. When agents were like school teachers in the summer, the residuals kept coming in, but the work slowed down giving us a break. I miss going to wrap parties and film premieres. I remember going to “The Earth to the Moon” premiere a thet Kennedy Space Center. John Kennedy, Jr. and his wife Caroline Bessett-Kennedy were at the dinner. My mom wanted to introduce herself and I said, “don’t bother them”. Now I wish I went with her to meet them both. What a handsome man and so compelling to watch. YUMMY! I miss those kinds of perks! I also miss encouraging actors, when they got to a certain level of their career, advising them to join the union. Now it does not make a lot of sense to join since the southeastern states are ‘right to work’ and most casting director’s care how talented the actor is, not if they are a member of the union. I have nothing against the union and I am very grateful for their services but, I hate to see actors struggling to pay bills and choose to pay the membership fee to join. The union is not going to get you work. That is the actor’s job to audition and be remembered for future projects. The union’s job is to make sure producers who have signed the signatory agreement abide by the rules. Traci: If you were going to write a book what would the title be? “Acting Is Just A Conversation”. I know there is A LOT more to it than that, but in the long run it is just people talking. The follow-up book would be “Lame Excuses From Actors”. In the meantime, “The Agent Diaries” is enough writing for me! 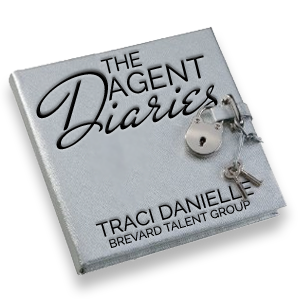 Traci: If you were not an agent, what career would you have pursued? I missed my calling. I would have loved to work in production in rock n roll. What a blast it would be to travel the world and be a part of a concert tour. There are days I wish I could do volunteer work at hospice. It is a gift to be with someone who passes. It sure puts this business in perspective. However, in the meantime agent it is, until I win the lottery. So far I have not hit the big one! But, I am very thankful for what I have. Nope. Regrets are poison for your soul. Often I wonder where my life would be if I went to college or took the left instead of the right in the fork of the road. I also wonder what America would be like if Al Gore was elected President but, that is a story for another day and a bottle of wine – maybe two. Traci: What advice would you give actors today? I would first ask if they are willing to put in the work to be an actor, especially for film/tv. Most aren’t. Life gets in the way. It is hard to make a decent living from commercials, film and television. Most are not willing or can’t afford to consistently attend class and work on their craft. Some only dream of fame and fortune and do not have the ambition to become a great actor. In Orlando, actors are fortunate that they can work at a theme park, perform, ,have health benefits and a steady paycheck. A lot of them do not have the drive and determination to meet audition deadlines and jump in their car to make a callback in another state. I can’t say I blame them. But, I am glad for the ones who do. Wanting to be an actor and making a living as an actor are two different things. Where there is a will, there is a way. Believe in yourself and others will to. Catching up from the week: I have almost recovered from my daughter, Jordan, getting married in Key West at the “Ernest Hemingway House” on October 10th. It was a beautiful wedding and reception despite the heat. Cross moving to Key West off my bucket list! I went with Alana Cavanaugh to her ADR (audio digital recording) session for “Sleepy Hollow” at Ideas in Orlando. I have never had the opportunity to see the process and found it very interesting. So much for telling Alana I could help her with her math homework. Algebra in third grade? When did that happen? 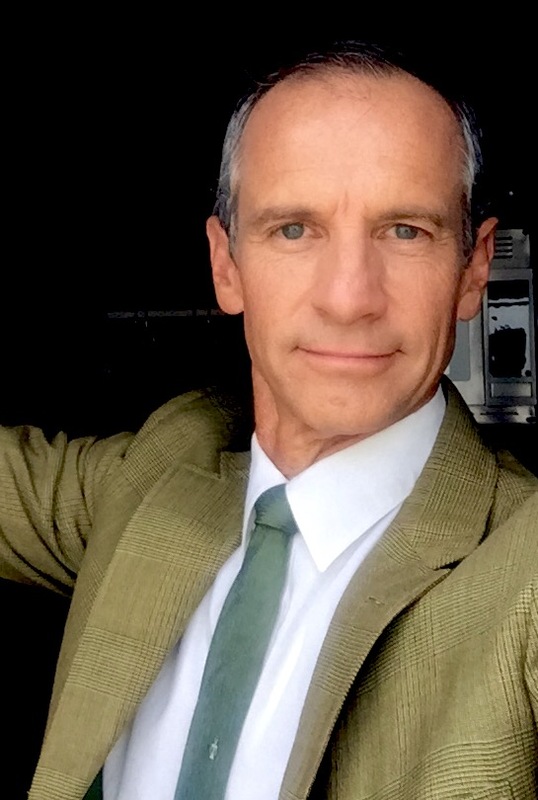 Me + Allegra = Big Fat F.
Dan Bright is in Louisiana working on the feature film “LBJ” starring Woody Harrelson and directed by Rob Reiner. Owen Harn worked yesterday on “Game of Silence” in Atlanta.. Bill Kelly, Gene Michael and Owen Teague were in south Florida working on “Bloodline”. Chris Dinger, Levi Feldman and Leander Suleiman shot a commercial for “Chuck E Cheese”. John Connon, Chip delVecchio, Aniria Turney, Gabrielle Ortiz and Scott Whittemore worked on “Florida Lottery” commercial. 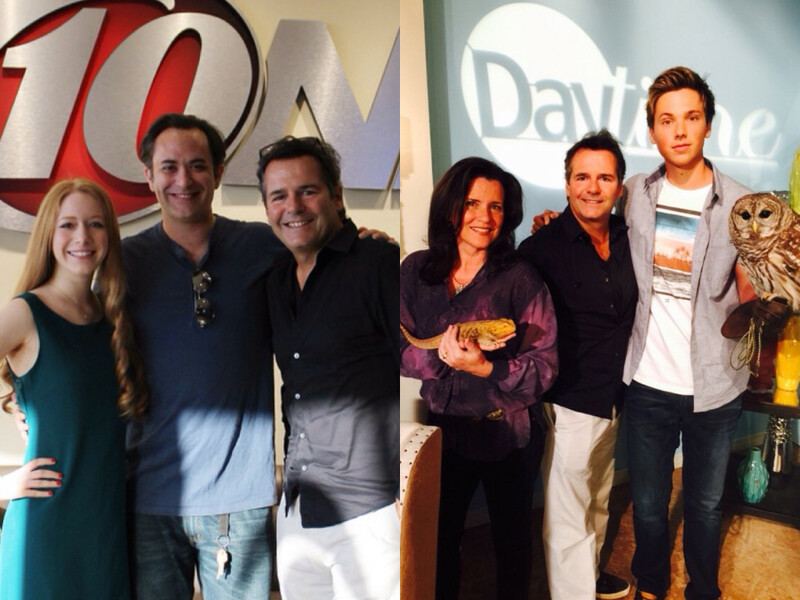 Matthew Kosto, Tara McDonald and Zach Robbins are shooting the independent film “Monsters at Large”. Alkoya Brunson booked a great supporting role in the feature film “A Meyers Christmas”. And, Darla Delgado is headed back to Atlanta to shoot another episode of “Game of Silence”. Often actors will call or email and inquire about an audition they heard about, but were not requested for. I cannot begin to tell you how frustrating this is when the actor does not have all the facts about the audition, such as age and type. It is a different situation when an actor is friends with a casting director and may see a casting on social media. If a casting director suggests you audition, by all means go for it. Many actors develop relationships with casting directors, which benefits both the actor and the agent. Agents seldom receive scripts and are not privileged to all of the information that casting directors have. Casting directors are reaching out and utilizing social media more than ever to look for actors. Keep in mind that actors and agents are a team and work together, so don’t feel your agent is not working for you if this happens. It is physically impossible for any agent to send all of the actors they represent to every audition. Congratulations to Luc Campeau! His film “Turtle Tale”,was recently chosen, out of 250 films, to be shown at the International Family Film Festival in Hollywood, California on November 7th. How old were you when you started in the business and why did you want to pursue acting? I was 5 years old when my mom and dad let me start acting, but I started asking (to be an actress) when I was 2. They finally let me start acting after years and years of begging. I wanted to be on superhero movies and see how they made the makeup for monsters and how they do the amazing things on TV. The FOX TV show “Sleepy Hollow” airs tonight that you worked on. What are you plans to watch the show? I will be snuggling on the couch with my family and enjoying the memories I have from filming the TV show. I will remember all the joy I had on the set. 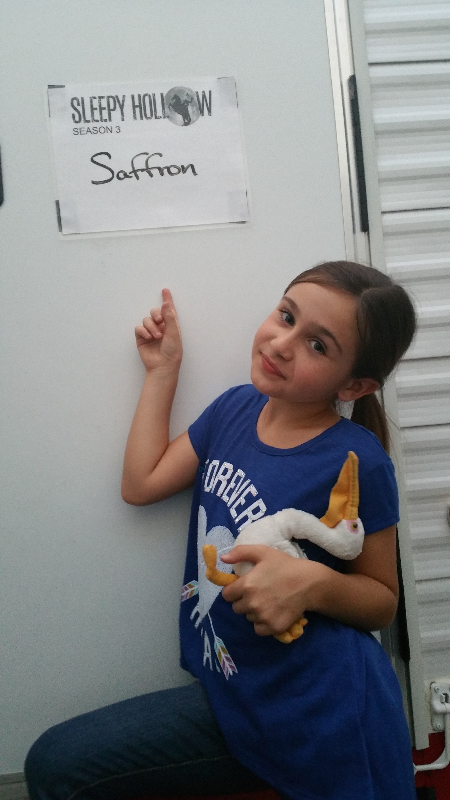 How did you feel when you heard you booked a guest star role as the character Saffron Paynter? I felt as amazing as I could feel. When I heard what I would be doing, it was what I have been wanting to do my entire life. I felt sick to my stomach from being so excited. Can you tell us about Saffron and what you had to do to prepare? Saffron is a brave, 8 year old big sister of a little girl names Tessa. She gets strangled by a monster and almost gets killed. To prepare, I had to make sure that I was comfortable with having a person with a scary costume attack me and I had to be able to be very strong for the stunts. I also got to work with a stunt coordinator for a scene. What was the best part of working on “Sleepy Hollow”? Getting to meet all of the people and getting to experience doing what I have wanted to do for years and years and years! Mr. Tom was very funny. He made me laugh after every single take. He made me really comfortable and really happy. We talked about everything. There was a part where the monster had to drool on me. It was my least favorite part because it was sticky and gross! You have worked the last two seasons on the AMC show “Halt & Catch Fire”. The show was recently picked up for a third season. Tell me about your experience working on the show. Working on Halt and Catch Fire is an amazing experience because I met my best friend Morgan on there who plays my sister. I also get to work with super fun people like Ms. Mackenzie, Ms. Kerry, Mr. Lee and Mr. Scoot. My very first snowball fight was with my “dad” Mr. Scoot. He stole us from set and snuck us out back while no one was looking to play in the snow during the first season. For the second season, my real little sister got to play me in younger pictures. When I heard about the third season, I was at a callback so I couldn’t yell but, inside I felt super excited and was tingly inside from being so happy because I get to go back to our second home, Atlanta, and see my set family. Any tips you can let other young performers know about being an actor? One thing you always want to do is to always act natural. Don’t do this to make money, do this for your heart. When you do this for your heart, it will bring your feelings farther and farther because you believe in yourself and you will be able to reach more than you ever thought you could. Another week in paradise! At least it is cooling off and fall is at our door. This has been a typical week at the office, updating files, meeting new actors, sending out auditions, uploading auditions, writing checks to actors, paying bills and dealing with the good and the bad. It is a great way to close out the week by booking an actor on an Emmy award winning show filming in Europe! I went to see Aubrey Peeples in her first major film “Jem and the Holograms” yesterday. I am so proud of Aubrey! Special thanks to her supportive parents Ashley & Wendy! The film is inspirational for pre-teens and teens. We need more positive messages and less violence in films. I am sure many parents are shaking their heads yes. Acting in commercials is a highly competitive and lucrative business. John Peros has been a casting director since 1989 in Central Florida, casting hundreds of actors in film, television and commercials. Commercials are a great way for actors to get in the business, make extra money and have fun at the same time. Tell me how you got started in the business? I started acting and modeling when I was in college for extra money. I never really had a passion for being on camera but I loved acting on stage. I loved the partnership with the audience and I loved the immediate gratification of moving an audience to tears, laughter, thought, introspection, and of course, I loved the applause. After college, and after a brief life as an IT CONSULTANT, I left the corporate world and started THE OVER THE COUNTER THEATRE COMPANY in NYC. As the cost of producing theatre in NYC grew, I began looking for areas outside of NYC where I could produce theatre in a creative environment. That’s why I opened MANHATTAN SOUTH ACTOR’S STUDIO. We produced a lot of very good theatre and had some great film/TV acting workshops. We had a great 8-year run and then, at the behest of friends in the industry, I made the transition to media consulting and casting. I remember many years ago watching the play “Nuts” at Manhattan South Actor’s Studio. Do you miss directing and running an actor’s studio? I don’t miss acting as much as I thought I would. I do miss the intense creative environment of a studio theatre. I modeled MANHATTAN SOUTH after the great studio theatres in NY that I had known. It functioned more like a creative gym than anything else and a lot of good work came out of it. Every now and then I am approached by friends and colleagues with projects to direct but most of my free time these days involves my other passion of travel. I’ll start directing and acting again when I run out of travel money. You have so many repeat clients hiring you to cast for them. What do you think has made you such a successful casting director? We are lucky to have some incredibly loyal clients. I think we do a good job and we are always trying to evolve along with an ever-changing industry. I enjoy the commercial and print world of casting and I think it shows in our work. What do you like best about casting? The least? I love when a talent surprises themselves and books a gig. I hate seeing someone struggle and beat themselves up at a casting. Do you miss casting for film and television? How has technology changed the way you run your casting company? In many ways it has made casting easier. When I started casting our delivery system was 3/4″ Tapes and FEDEX. Now I can cast anywhere with a good camera, a good laptop and a good Internet connection. I have to say that I do miss having actual conversations with talent agents. Now everything is done through email and texts. Who has time for phone calls? Do you need to be a great actor to audition for commercials? No, but it sure helps to be, at the very least, a good, honest actor who can take direction. The words we hear most in the commercial world are: AUTHENTIC, ASPIRATIONAL and ATTRACTIVE. In the commercial world you are selling a fantasy life associated with a product. If you understand that concept, it goes a long way. What is the biggest myth actors believe about the commercial casting world and will you debunk it for them? THE BOOK-A-LOOK MYTH is total crap. Commercial Copywriters, Art Directors, Creative Directors and Shooting Directors are all story tellers. They are always starting with a blank canvas and actors are a means for them to tell their collaborative story. The difference is the story is told in 15, 30 or 60 seconds not 30, 60, 90 or 120 minutes. Sometimes the story has dialogue and most times, in commercials, the story is purely visual. When an audition calls for improvisation, does it mean actors need to be funny? I have been asked this question many times and it always puzzles me. For most people, IMPROVISATION is a learned skill that needs to be nurtured, developed and exercised. Somewhere along the way IMPROVISATION became equated with HUMOR and LAUGHTER. IMPROVISATION should be equated with TRUTH ,HONEST MOMENTS and HONEST STORY TELLING. A good 80% – 90% of commercial auditions are going to be improvisation based. These all involve truthful moments, relationships and situations that are grounded in reality. Some of these moments may be funny, some may be sad or poignant, and some may be neutral, but they must all be grounded in truth. In your experience, what are the qualities of the actors that consistently work/book? 1. They know who they are. 2. They know who they are not. 3. They understand the meaning of essence. 4. They have reconciled the person they think they are with the person that the outside world thinks they are. 5. They read and understand what they read. 6. They listen and understand how to process direction. 7. They are joyful (or know how to fake it). 8. They are professional team players but don’t take themselves too seriously. 10. They are always growing/evolving. What’s the biggest mistake an actor can make at a call back? I am amazed at how many actors go into the call back, unbeknownst to them, having the job and through a series of self-sabotaging moves, leave, unbeknownst to them, losing the job. A call back exists so that the Director can work with you in the room. The biggest mistake actors make is NOT LISTENING TO THE DIRECTOR/DIRECTION. I see this time after time from both novice actors and from actors who have been working for a very long time. Your thoughts on union vs. non-union actors and fi-core? I get asked this a lot and in order to explain it correctly you have to know a brief history of how we got here. 25 states are now Right-To-Work and many of those states are in the South East. RTW laws have been on the books since the 1940’s. What does this mean? In a nutshell, in a RTW state, you never have to feel compelled to join any union as a means of obtaining gainful employment. You can’t be discriminated against because you are a member or non-member, period. Years ago the SAG and AFTRA offices got into the bad habit of trying to impose preference-of-employment fines on signatories who were based in union states but were doing business in RTW states and following RTW state law. Their claim was that a private party contract trumped state law. Nothing could be farther from the truth. For a while signatories would just pay the fines and then choose never to return to FL, or GA, etc. This was one way of trying to intimidate signatories into only hiring in Union states like NY, IL and CA. For a while, it seemed like talent was always being brought in from LA and NY and FL actors were being shut out. When we learned of this repetitive practice, a few of us banded together and publicly called out the union’s bad behavior. We made the case that this behavior was driving business out of Florida and in time, the practice ceased. Sometimes a little public shaming goes a long way. As for whether to join a union, or not, or whether to go fi-core or not, that is completely up to individual talent. You have to be honest with yourself as to what your own personal goals are. For some talent a SAG-AFTRA card is a personal goal, and I completely respect that. If you want to do commercials as well as film and TV in the South East then I would suggest not joining as 80% – 90% of the commercial work in Florida is non-union. If you want to work in commercials, why would you make the conscious decision to remove yourself from 80% – 90% of the local commercial employment opportunities? You can always refuse an audition or a booking if you don’t agree with the terms or the rate. Remember you cannot be discriminated against in any RTW state because of your choice to join or not join. I know a lot of actors who are SAG-AFTRA members. Some of them work a lot and many of them rarely work at all. I also know a lot of talent who have opted not to join a union and they work all of the time in FL, GA, NC and LA. My advice to talent is to educate yourself and then decide what best fits your needs and goals. It does bother me that the unions tend to still misrepresent, and in some ways demonize, fi-core status to their members. When you are a union member and you enact your federal right to fi-core status, you are still a dues-paying member you just can’t vote, go to mixers, and watch the screeners. You have seen the good, the bad and the ugly part of stage parents. Any suggestions for the parents of young performers on having a successful child in the business and keep their sanity at the same time? Nurture your child’s focus and imagination. Most of our clients are looking for young performers who are joyful, unique, attentive, can follow direction, and can work/play well with others. If your child does not want to do this or if they have focus issues, this is not the business to be in. As for the parents, keep your chauffeur’s hat on as you are going to be doing a lot of driving. Can you share any dos and don’ts for commercial auditions? 4. Do communicate with your agent. 5. Do listen, read and follow direction. 6. Do prepare as best you can. 7. Do remember to breathe before, during and after an audition. 9. Do remain open and receptive. 10. Do ALWAYS have hard copies of your headshot/resume attached with you. These are your personal business documents. 11. Do remember A CASTING IS A JOB INTERVIEW. Please act accordingly. 12. Do not accept a first refusal that is in conflict with a booking. 13. Do not accept a booking if you don’t like the terms. We recently had a talent who agreed to cut his hair for a shoot. When the talent got on set, the talent’s mom gave the stylist a hard time. Better to refuse the terms of the booking up front than to be branded as trouble on set. 14. Do not do business solely on your smart phone. If you try to conduct 8.5″ X 11″ business on a 3″ X 4″ screen you are going to miss a lot of details. 15. Do not try to “sell” yourself at a casting. You will immediately be branded as a phony. 16. Do not monitor yourself. When you label your audition file, make sure the full character name is on the label, not just the first or last name. Put all audition files on one link. Do not send separate emails for each file. Have them on one link such as WeTransfer or Hightail. PLEASE keep your actors access profile up to date. They have a new feature which allows agents to submit the actors’ sizes when submitting actors on projects. I AM IN SHOCK with the amount of information that is missing. Actors may have noticed that I am sending emails letting them know to update their profile and what sizes are missing. Clearly, this is not your agent’s job and should be common sense when you created your actors access profile, as well as any other online profiles. Always share the closest major city when asked to state what city you live in. Instead of stating Ruskin, state Tampa or instead of stating Davenport, state Orlando. Make sense? EVERY SINGLE ACTOR AND MODEL NEEDS A CURRENT PASSPORT. Don’t procrastinate, if you do not have one, apply for one immediately so you do not waste an opportunity to work. You must be ready to travel anywhere in the world in a day’s notice. This can make a difference in booking a great job and the perks that come with travel opportunities. Every time you work do not leave the set without a copy of the release. Recently, it was brought to my attention that a very large company was using an image of one of my actors from a campaign from 2002. I found the release in the actors file, which allowed me to pursue a claim. The actor is very happy to receive compensation and I am happy I can buy new tires with the commission! Unlike Los Angeles, actors in the southeast can freelance with multiple agents – unless you are in a verbal or signed to an exclusive contract. When you decide, after all, it is your career, to add an agent to your team at least have the decency to be respectful of your agent(s) and let them know. Your agent can look on your actors access account and see who you are represented by. The truth always comes out. By not being honest, actors are only hurting themselves in the long run, especially when starting a relationship with the new agent. Running an agency is similar to working at an emergency room. Things can be quiet and slow and then, boom, out of nowhere it goes crazy! A casting notice is similar to a gunshot wound, a priority that must be taken care of immediately. Looking at new headshots for actors is comparable to being sent to the waiting room to wait your turn. Actors often ask if it is slow and then five minutes later it is nonstop work. There are days I don’t have time to go to the restroom and days I can leave the office for lunch, which does not happen often. Every day brings new opportunities for actors and challenges to agents. We can never predict what the future will hold and like actors, agents have to go with the flow and take the ups and downs as they come. Nonemergency emails get moved down the chain. It amazes me that when I can’t get to an email in a timely manner, the person who sends it seldom bothers to call to follow up and see if it was received. Don’t be afraid to ask the status or send the email again. In the inter-galactic universe of the world-wide-web emails are not 100% guaranteed to make it to the in-box.